It seems everyone is either pregnant or just had a baby. Must be somethin in the water. 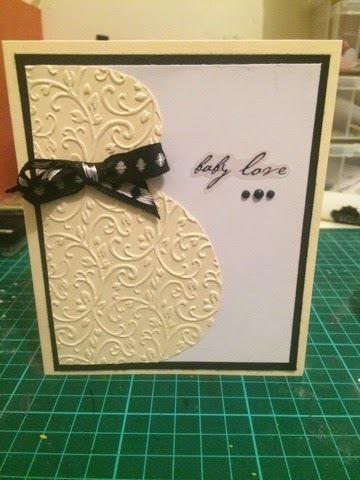 Personally, 2 close friends just popped out little ones within days of one another- one boy one girl :) so I have been making baby cards- and loving it I might add lol. 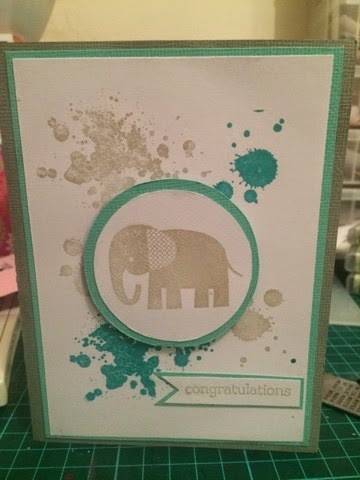 This one went down with an adorable little out fit for miss Charlotte. 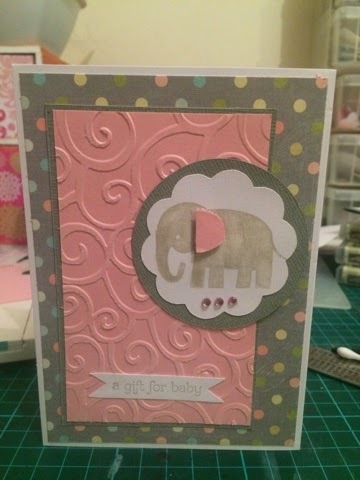 I have boys so I don't get to use much pink, so I loved making this. This one included an adorable set of overalls lol and some advice about being in a house of boys from personal experience - "there will be mud, there will be blood and there will be mischief. Go with the flow and learn to laugh it off lol." Bittersweet.... Scrap the tough stuff too.